Hotel Vier Jahreszeiten Kempinski Munich has an on-site restaurant and bar and lounge. It offers meeting rooms and a ballroom for up to 500 people. The 24-hour business center provides computers, fax machine, and printer, and complimentary wired and wireless Internet access is available throughout the property. 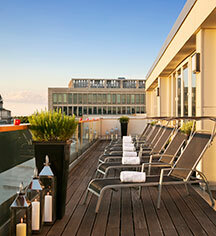 Guests of Kempinski The SPA can enjoy a magnificent view of historic Munich from the sun terrace on the roof. 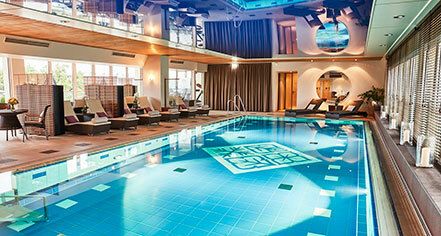 It offers a sauna, solarium, fitness center, and massage and body treatments.